The Royal Canadian Mint reported revenue of nearly $3.4 billion for 2013, up by 30.7% from the prior year and representing the highest revenue in its history. Pre-tax profits reached $48 million, up by 17.9% from the prior year. Examining the results by segment, three out of four areas showed revenue gains compared to the prior year. The only segment which recorded a decline was the Canadian circulating coin segment which dropped by 12.5% to revenue of $133.4 million. The decline was the result of the phase out of the cent, which prompted Canadians to cash in their cents but other denominations as well. The influx of coinage as well as increasingly efficient management of coins in circulation reduced the overall need for production. The Mint has been responsible for the removal of the cent from circulation on behalf of the Department of Finance. 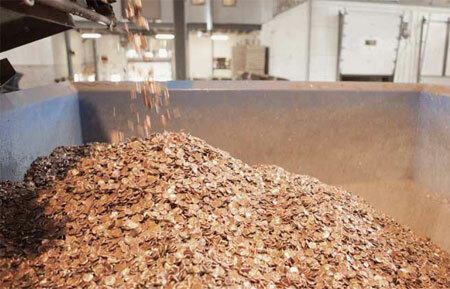 During 2013, four billion pennies were removed from circulation and the corresponding scrap metals recovered with proceeds returned to the government of Canada. Currently, all denominations within Canada’s coinage system are manufactured using multi-ply plated steel and cost less than face value to produce. The numismatic and collectible segment saw revenue increase by 15.1% to $167 million, representing the second consecutive year of record revenue. During 2013, the Mint issued 201 numismatic coins, with 70 achieving a sellout by year end. This compares to 136 numismatic releases and 60 sell outs in the prior year. During the year the e-commerce technology platform that underpins the mint.ca website was upgraded in anticipation of continued growth. The Mint credits their strong revenue growth in the numismatic segment to imaginative product development and sales and marketing strategies as well as paying attention to the secondary markets. One of the highlights from the year was a seven coin series issued to celebrate the 75th anniversary of Superman, which sold out in record time. One coin featured groundbreaking 3D achromatic technology. In the foreign coinage segment, the Royal Canadian Mint produced and shipped 2.6 billion coins and blanks to 17 countries to generate $78.2 million in revenue. This represented a strong gain compared to the prior year when the shipment of 903.3 million coins and blanks to 13 counties generated revenue of $30.3 million. The significant increase was partially attributed to a contract to provide circulation coinage to a country that experienced a disruption in domestic minting capacity. The bullion and refinery segment generated revenue of nearly $3 billion, establishing a new record. Sales of Gold Maple Leaf Coins reached 1,140,425 ounces, representing an increase of 47.7% compared to the prior year. 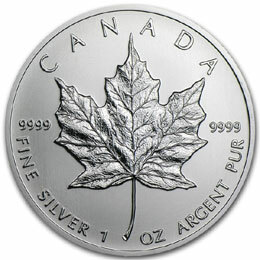 The Silver Maple Leaf Coins reached 28,22,061 ounces, representing a rise of 55.8% from the prior year and establishing a new record. Platinum bullion coins sold during the year reached 19,349 ounces, down from 34,700 ounces in the prior year. The Royal Canadian Mint is a fully commercial Crown corporation, which does not receive funding from the Government of Canada for operations. The Mint’s core mandate is to produce and distribute Canadian circulation coins and advice on all matters related to coinage to the Minister of Finance. Commercial revenues are generated by offering a wide range of specialized services, both nationally and internationally. In 2013, the Mint made a dividend payment of $10 million to its shareholder, the Government of Canada.